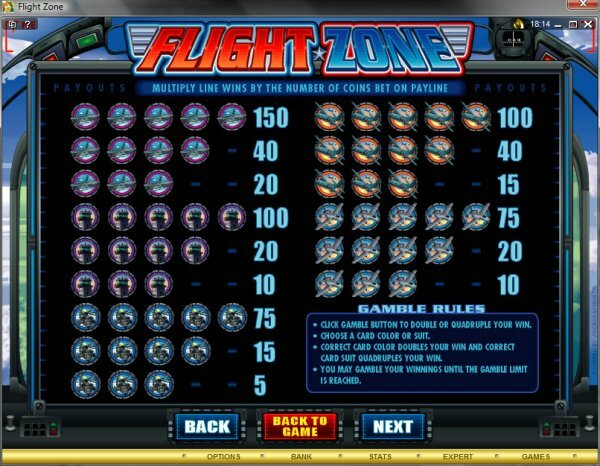 Overview: June 2009: Kick the tires and light the fires before taking the controls on some of the world's hottest supersonic jets in FLIGHT ZONE, the latest all-action video slot to arrive. 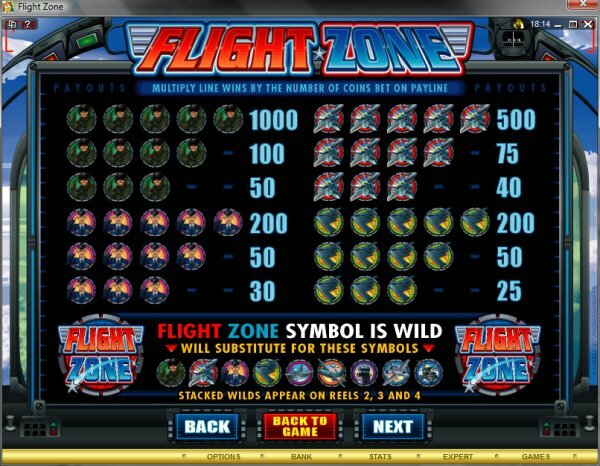 This 5 reel 25 pay-line, yankin' and bankin' thriller of a game features the daring military pilots of today tasked with tough missions, played out through a slew of Scatters, Wilds, Free Spins, Multipliers, a two-level Bonus and even a Gamble feature, and designed to provide mach-level fun and great chances for reward. 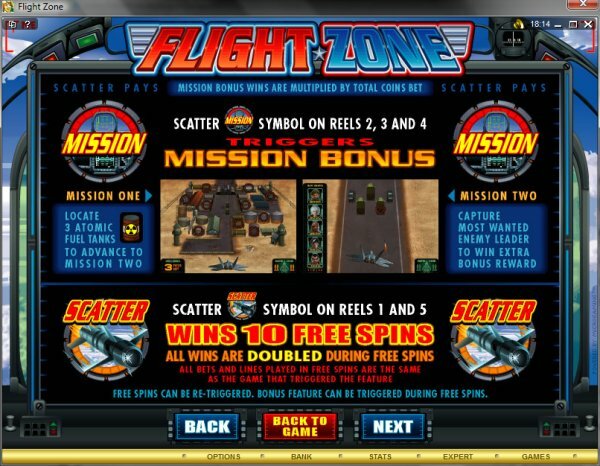 The scene is set by some of the best graphics around, showcasing sleek and lethal aircraft from helicopters to stealth jets....and the intrepid men who fly these technological wonders on combat missions around the world. 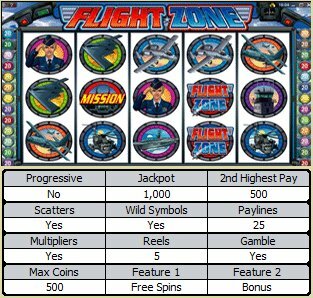 Getting into a spin in this game could be to the players' advantage, thanks to re-triggering Free Spins that carry a 2x Multiplier and additional chances to access the second screen, two level bonus. 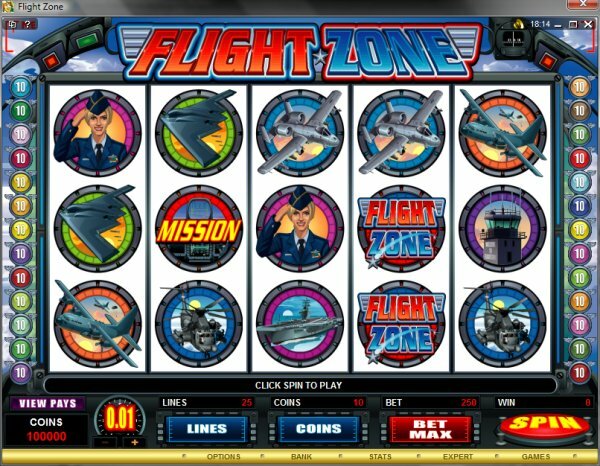 Similar Slots: If you like Flight Zone, you might like these other 5-reel slot machines: Alaskan Fishing, Lucky Stars, Mardi Gras Fever, Pollen Nation, Pure Platinum, The Lord of the RingsTM - The Fellowship of the Ring.